All information contained in this article was received by us from our insider, a person working in RoboForex, who passed us this information because this person feels sorry about many victims of RoboForex. Also we got many pieces of information from open sources on the Internet and from the memoirs of a former employee of Forex4You IT department who we found in a social network, and who agreed to give us a short interview. So, it all started in 2009 when Vitali Avtaykin (born March 6, 1978) being an IT Director in well-known company Forex4You, started to become sad day by day, watching the rapid growth of the Internet project, in the success of which he never believed. Vitaly reluctantly agreed to work in Forex4you and only because of the lack of any interesting work in Tomsk city (Russia). However, the shareholders convinced him to take this job by offering a good salary and big prospects of his personal growth. Well, what is there to make you feel sad, you ask? Forex4You was growing, Vitaly’s salary and bonuses also grew rapidly, the company has been moved to Cyprus and seriously beginning to form a new headquarters to apply for the European brokerage license. Vitaly’s incomes grew rapidly because the shareholders were not stingy for the compensations for top management. Vitaly and his wife Yana Akchurina (People who know her very well say that she is very scandalous and eccentric personality. The whole separate article could be written about her bad temper, scandals and her permanent adventures with her many lovers that she has despite being with Vitaly), also moved to Cyprus and everything was fine, but that’s only the envy of other people’s money tormented soul and tortured brain of Vitaly and his wife. Vitaly wanted more money, and most importantly, he wanted to prove to shareholders that without him, nothing would have happened and that salaries and bonuses are clearly not enough — Vitaly wanted to get his share in the business, and a voice in key decisions for the company! As a result of long reflections Vitaly decided that simply to go and ask honestly his share in the business is a very risky step because this will trigger difficult negotiations with shareholders and secondly, if the conversation will not be successful, he can be fired. That’s where Vitaly’s inspiration started — having access to all the technical infrastructure of the company, Vitaly realized that he can simply make a copy, create a clone of Forex4You, with minimal variations, and pull over it the new name and design. In this scenario, there is no risk, because if the project will not go up you can continue to work in the Forex4you, but if the clone company will begin to grow successfully, Vitaly can leave current employers and with the great pleasure. However, to implement his plans Vitaly needed more or less decent budget, because even copying (let’s call a spade a spade — stealing) all technologies, anyway, he needed funds to support the servers, to pay advertising, salaries for necessary staff, etc. Vitaly’s personal funds were not enough. Due to this fact Vitaly understood that the only chance to start project with stolen infrastructure is to steal also the clients and to use their deposits as financial source to promote new company and to pay all current expenses. So, one idea led to the next idea and gradually Vitaly formed a plan for the theft of technical infrastructure, intellectual property and customer base of Forex4You company! However, to implement such a large scale robbery Vitaly Avtaykin needed allies among key employees of Forex4You, and he found them surprisingly fastly. Eugene Antokhov — the former head of the partnerships relations department in Forex4You. Responsible for stealing partners from Forex4You and some big clients. 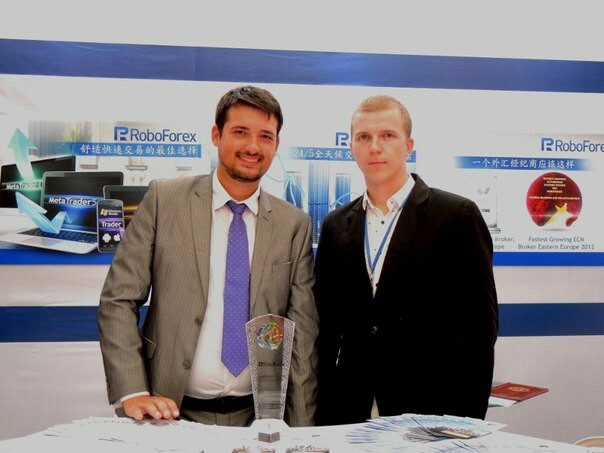 In RoboForex he is responsible for collecting money from traders in Russia and CIS countries, and to build partner network of RoboForex in Russia and the CIS. He is responsible for evading taxes by RoboForex and for money laundry of illegally obtained clients funds in Russia and CIS. He is responsible for sending these dirty money to offshore companies that legally have no links with the RoboForex group companies. LLC «IT INVEST» http://www.rusprofile.ru/id/4035581 and some other. We wonder how such a very young boy with such criminal reputation, engaged in such illegal activities can openly represent RoboForex in Russia? 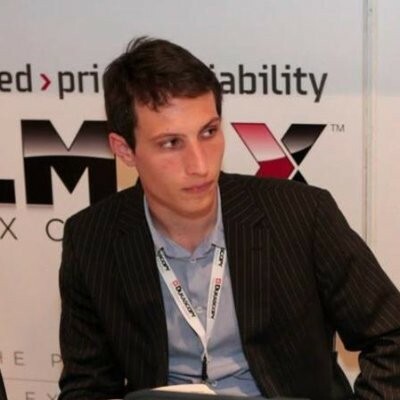 Vasily Silich — former software developer Forex4You (responsible for the theft technologies and their adaptation to RoboForex). Using stolen from Forex4You client data base, mentioned above attackers registered in the name of these customers trading accounts in RoboForex. They just simply used stolen personal data of clients including their e-mails, mobile phone numbers, addresses, passports and national ID data, etc. to register trading account in RoboForex. In fact, customer accounts were opened without people’s knowledge and linked to their private e-mails. Moreover, you’ll laugh, but some of these clients even had no clue that they have been also verified in RoboForex using the data of the scan copies of their passports! Yes, scan copies of their national IDs and passports were also stolen and used! Just imagine, that somebody takes your e-mail, your passport and your personal data and register trading account, applies for verification and accomplish verification on your behalf without your knowledge! Next, RoboForex deposited 15 USD Wellcome Bonus to all “new” and “verified” client’s accounts. 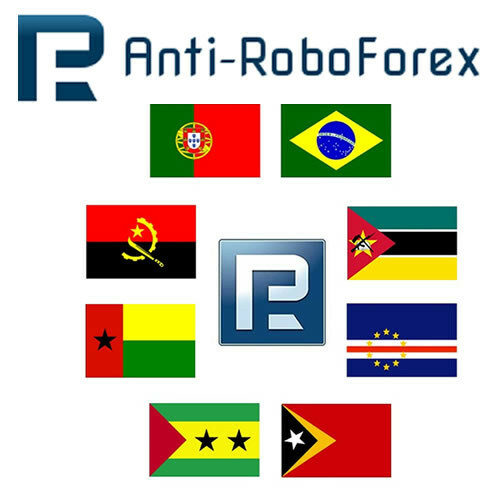 The culmination of this scam action was a mass e-mailing to all Forex4You customers the “Congratulation” letter with explanations that the client just opened account number XXXXXX in RoboForex, that verification is successfully passed, and that the Welcome bonus of $ 15 is deposited. All that the client must do to get this bonus is just to download the trading platform online on RoboForex corporate website. The access data to client’s accounts and to new trading terminal were attached, respectively. We think at this moment you are very curious about how Forex4You reacted to such barbaric attack by RoboForex? The reaction was fierce and quite rapid. The lawyers tried to do their best to protect interests of Forex4You and several application to different police departments of the Russian Federation were sent, including to the Department “K”, dealing with the disclosure of crimes in the field of IT. However, very soon it became clear, that IT achievements of Forex4You originally were not patented and therefore had no legal protection. In addition the attempt to bind the theft to any of the commercial structures belonged to RoboForex in Russia also failed and it was impossible to punish offshore company to which all the evidences led the investigators. In other words, at this time Forex4You was unable to protect its intellectual property rights and RoboForex escaped severe punishment by law. To summarize this article we are going back to the translation of RoboForexfrom Spanish and just want to understand who invented such an interesting name of the company — RoboForex — Robbery on FOREX!!?? ?